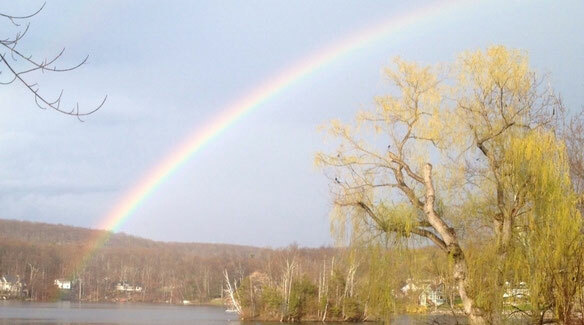 Click below to become a member of Rainbow Lake! Click below to contribute to Specific Projects! The Spring Clean-up will be held on Saturday, April 13, 10 a.m., at Crescent Beach. Please come out & help us prepare the beaches for summer. The docks need to be placed offshore, the beach tidied up, etc. This is a great way to meet your neighbors & contribute to this community. See you there! 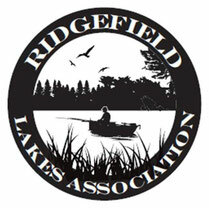 The annual RLA General membership Meeting will be held on Saturday, May 11, 11 a.m., at the Ridgefield Recreation Center. All current RLA members are invited to attend. The board will present the 2019 budget and discuss all matters relating to the lake, beaches, & dam. If you haven't paid your 2019 membership dues, you can pay them there. The RLA had its final work detail of 2018 on Saturday, Dec. 1. We moved the boat rack on Lakeside Beach & replaced the old boards on the dam. Thanks to everyone who chipped in! Thanks to RLA members Pilar & Rob DeRoma for hosting the 2018 Holiday Party for the second year in a row! The annual RLA tag sale was held on Saturday, October 13. Almost $1,400 was raised! Thank you to Chris & Jana Williams for hosting and to all those who volunteered their time helping out!! Thanks to those who turned out for the RLA horticulture cleanup at Lakeside Beach on Saturday, September 22. We pulled weeds & planted flowers, much like we did last year at Crescent Beach. Here are a couple of photos . . . The 4th annual Wataba Lake Festival was held on Saturday, September 15, at "Hippie Hill." We raised more than $660 for the RLA while having a blast. Thanks to Roger Grannis & Kevin McCarthy for organizing another successful festival!! Rainbow Lake resident & official RLA animator Chris Williams has graciously designed some very cool Rainbow Lake merchandize that is now available for purchase, with all proceeds going to the RLA. T-shirts, coffee mugs, car magnets & other groovy swag can be found HERE. When raking or blowing leaves, please DO NOT dispose of your leaves in the lake. Vendor Discounts are available for RLA members from local businesses. For instance, we offer a special deal on heating oil from Standard Oil: for RLA members only, there is a 20 cent per gallon discount, as well as a 20% discount for service plans. Call Standard Oil at 800-822-3835 and ask to speak with either Debbie or Darryl. If you have a business or know of one that might be interested in offering discounts to RLA members, please contact Patsy Sabido at patsysabido@gmail.com. For more deals please visit the "Vendors Discount" page. Check out this video from the Rutgers Agricultural Experiment Station detailing how to make an artificial floating wetland. LEFT: Janine Ranieri inserts plants into our own floating wetland. RIGHT: Doug Carroll & John Keegan (hidden) row the wetland out into Rainbow Lake. 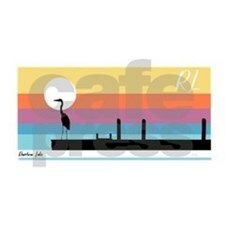 BELOW: A heron hangs out on the floating wetland.